My son was born on March 3, 2006, with bilateral clubfeet. We were referred to Dr. Mark Adamczyk and met with him for the first 13 weeks of my son’s life to have cast changes… then he wore Ponsetti braces for 23 hour per day for approximately the next 6 months. After that, he wore them just at nap time and bedtime. At 2 months old, he had his first surgery for tendon lengthening, and then he had a second surgery at age 2 1/2, to transfer a tendon on his right leg. And another surgery when he was 3 1/2 to do it on the left leg. From there, we had to “wait and see” if the orthotic braces helped correct the tibial torsion or not. They didn’t. 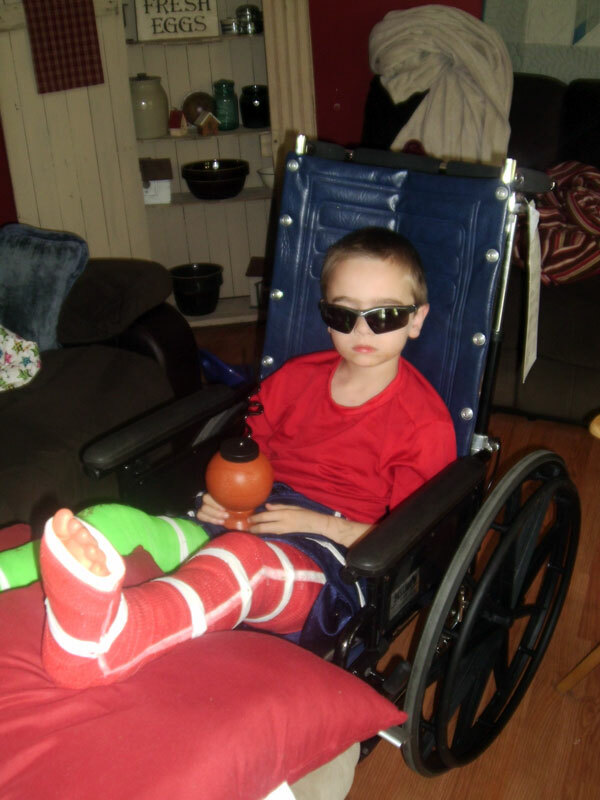 On April 29, 2013, my son had his fourth surgery on both legs and was in casts until July 2. He just now is learning how to walk again. It has been an incredible journey. I don’t think that my son or I could’ve made it through everything without Dr. Adamczyk. Akron Children’s has been a GREAT hospital when we’ve been admitted for surgeries. ALL of the nurses are super great in their care of my child, and they are concerned about the parents’ well being as well. I will never take my child anywhere else. Life is good with Jordan's "super boots"